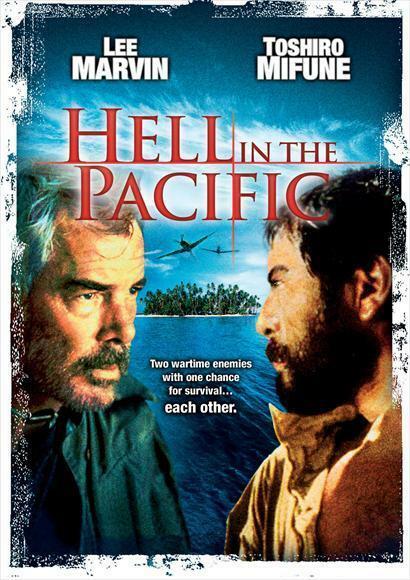 Brief Synopsis – During World War II, an American and Japanese soldier find themselves stranded on a deserted island in the Pacific and must learn to work together in order to survive their ordeal. My Take on it – This is a film that takes the premise of placing two sworn enemies in a situation where they must find a way to work together in order to survive. Unfortunately, the way that they present the story comes across quite tedious and boring throughout. It’s quite hard to find the actions of these two very desperate men interesting for over 90 minutes. They do manage to show how these men can try to overcome an obvious language barrier despite how frustrating it can be for both of them. Both Lee Marvin and Toshiro Mifune give nice performances here and they each show how far they are willing to go when they are faced with a difficult situation like the one shown here. The film also shows how the only true enemy in battle is the unpredictability of the world and that could potentially be the greatest barrier that one must try to overcome along the way. Bottom Line – Great premise that fails to find a way to keep things interesting. The way that they make the characters find ways to interact due to a language barrier works well in showing how frustrating the whole situation must be for both of them. Mifune and Marvin are both great here in showing the lengths they will each go when faced with predicaments like this one. The film is able to show how the unpredictability of war in and of itself is the true enemy and that is the only barrier that can never be overcome.